Back in the woods at Brewster Ridge, moving day didn’t provide us any more clarity on the potential outcome of the PDGA Professional World Championship. If you ask the players, no one on lead card played especially well Saturday. And that’s coming from the players’ own mouths. “It’s good to play a bad round and still be two strokes back,” said Josh Anthon after his 7-under par 54 round. If the lead card was behind their expected pace, the chase card was taking the leftover momentum. A couple holes ahead, Paul McBeth, James Conrad and Matt Orum were starting to apply the pressure, with the cheers echoing around the course acting as both motivator and potential danger. A quick start had McBeth 3-under par and again looking like he was going to make the push many have been expecting, though he would give two strokes back by hole 6. Orum was 5-under par through the same time. Conrad would birdie five of the first seven holes. A couple of alternating big birdie putts shook the rust loose for the top card. Paul Ulibarri’s 50-footer on hole 2, Anthon outside the circle connect on hole 3, and Barsby cashing in from 60 feet minimum on hole 4 all perked up the card. Only Nikko Locastro, who’d finish 1-under par 60 with two birdies, could never get going. He is currently 25-under par 223 total and in 10th. Except things didn’t really get going. It was fits and starts and nervy golf from the leaders. None of the trio was able to string together more than two consecutive birdies until Ulibarri would hit four in a row late in the round. That heat was coming from Conrad and McBeth. During the middle stretch of the course, Orum would go cold but keep things clean; he’d finish with a turkey to go bogey-free 8-under par 53, and is in fifth at 31-under par 217. On the other hand, McBeth carded 5 birdies on holes 6 through 15, including two outside the circle putts. He was 100-percent from Circle 2 on the round. Not to be outdone, Conrad added six birdies on the same stretch, including a 75-footer for birdie on hole 13. And with the lead card playing a little slow, the chase card battle had true stakes. That’s why after Conrad took a bogey on 15, his next drive was so important. And for the second time in the tournament, he played the forehand off the tee on the downhill, right turning hole 16. Not a shot we see a lot from Conrad, especially in the high pressure situation. That’s a casual way to talk about knocking down an outside the circle look after just taking a bogey, and having the potential to pull back strokes on McBeth who was already looking at a bogey on the same hole after finding trouble off the tee. Conrad would also get birdies on 17 and 18, finishing a 1070-rated, 10-under par 51 and is now tied for second at 33-under par 215 total. McBeth’s 6-under par 55 round moves him to sixth at 30-under par 218 total. Back on lead card, Anthon wasn’t scoring but, besides a bogey on hole 7, didn’t make mistakes. He hit a couple putts from outside the circle yet wasn’t satisfied with his distance percentage. He’s in the tie for second at 33-under par 215 total. Ulibarri got a couple bogeys in the middle of the course but found his stroke to close out the day strong. His 6-under par 55 day keeps him tied for second. Barsby will be your leader on the final day, going in with a two stroke advantage at 35-under par 213. And while he admits he got a bit excitable on 15 and went OB, it only took a second to move past it and see the bigger picture. The biggest move with podium potential came from Nate Perkins, who jumped off the fourth card into a tie for seventh with Seppo Paju at 29-under par 219 total. Perkins was showing off some killer woods lines on the way to the hot round: 11-under par 50. Perkins finished bogey-free and 100-percent on his Circle 1 putting during the 1078-rated round. Moving back over to Fox Run Meadows will require a minor recalibration to change the shot selection, and not every player in contention had a great day on Friday. Conrad struggled a bit and finished at 3-under par for round three but isn’t concerned about Sunday. “I almost wasn’t in the right mindset [on Friday]. I was out there kind of attacking it like it was day one, just trying to plod along and bide my time when I felt like I should have been out there trying to win the thing,” Conrad said. The lead card of Barsby, Conrad, Anthon and Ulibarri tees off at 2:30 pm local time on Fox Run Meadows. Smashboxx TV will be livestreaming the round. Follow along here at Ultiworld Disc Golf for coverage, and check UDisc Live for up-to-the-minute scoring. 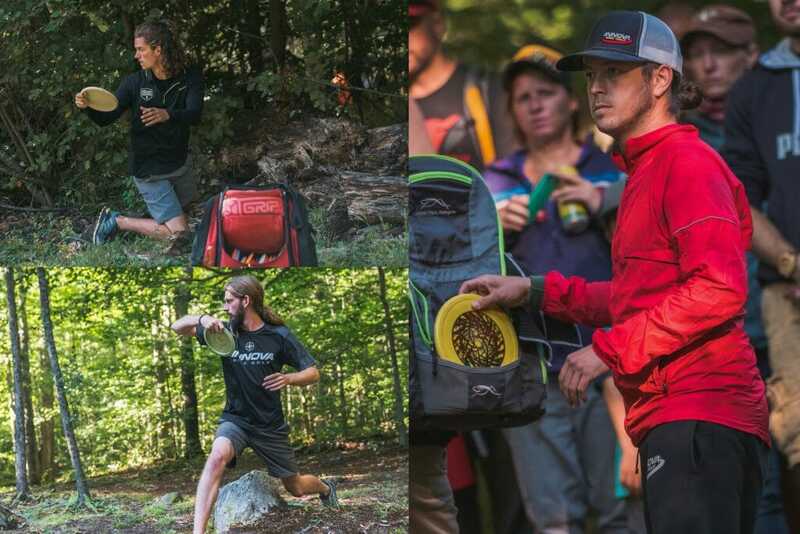 Comments on "Barsby Adds To Pro Worlds Lead Going Into Final Day"